North Korea’s authoritarian or official sources have declared tons of absurd lies to be considered true and have obliged that their citizens believe every single one of them. A lot has been said about the current dictator in North Korea known as Kim Jong-un, some of his claims are so ridiculous that they almost sound like they’ve been totally made up. Some of these rumors have been confirmed by the influx of refugees, combined by the sporadic visits that some tourists have made to the country. The late Kim Jong-il wasn’t only known for being one of the most brutal tyrants that any country has ever experienced, but his son, Kim Jong-un is attempting to do anything and everything he can to surpass him. How their leaders are worshipped in this country even surpass the Pharaohs during the time of Ancient Egypt. However, some believe that deep deep down, North Koreans do not actually believe everything that their dictator says. But the truth is, without any actual communication from the outside world, brainwashing the masses is much easier. Here are 15 so-called “facts” that North Koreans are bombarded with on the daily. Have you ever found that when you hold in gas, your stomach hurts? Kim Jong-il has never had this issue when he went out on dates. He’s never used the bathroom in his life, according to his official biography. His dazzling physique and brain power was just so efficient that he’d never had to expel human waste of any kind, liquids or solids. 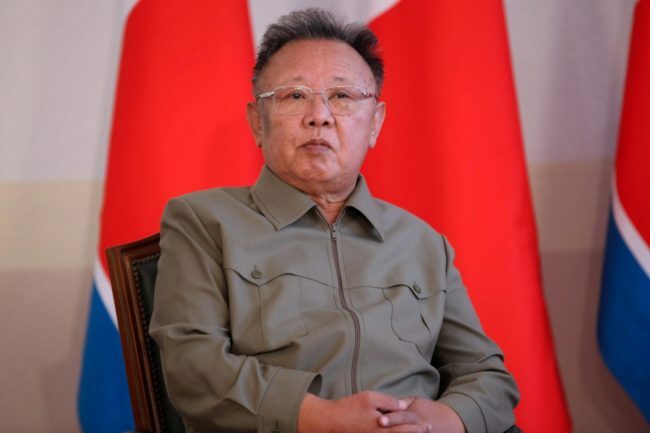 The unbelievable Kim Jong-il’s mind control could stretch from his bowels to the weather, which was said to have changed depending on what kind of mood he was in. This probably doesn’t come as a surprise from a man who was born under a double rainbow and a burning star on a volcanic mountain, although records state he was really born in a small fishing village in the Soviet Union.